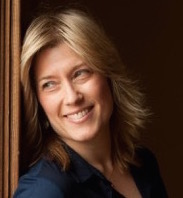 I distinctly remember the moment I met Ingrid Edstrom, bookkeeper and founder of Polymath LLC. It was at the Scaling New Heights conference for accounting professionals in 2016, in the Bahamas. Everything was big: the resort, the ocean, the show itself. It was a surreal time to meet someone as happily infectious as Ingrid. At that time, Ingrid was working with my college roommate. It was sheer coincidence and great luck for me that I could meet up with my good friend in the Bahamas! “I want to introduce you to my colleague, Ingrid,” my friend told me when we messaged to arrange a time to meet. “You will love her!” I did. To say Ingrid is full of life is an understatement. She is effervescent. She is buoyant! In fact, not 15 minutes after I met her, she convinced me to go for a midnight swim in the ocean with her tight group of friends—something I had never done before, and a memory I will cherish forever. Ingrid’s eagerness to seize a moment made an impression on me, and after Scaling New Heights, I followed up with her to talk to her about implementing the LivePlan Method to help her grow her client advisory services practice. By that time, I had spent significant time getting to know the public accounting industry. It was clear to me that, almost industry-wide, everyone was on board with the idea of offering client advisory services (or Strategic Advising), but no one seemed to have a standardized way of doing it—or even a business process at all. The key to any type of service offering is to standardize it, so you can make it efficient in your workplace and control gross margin. The accounting industry has a focus on pricing, and that’s important, but pricing is secondary—first, you must establish your internal processes. Workflows is a term many in the accounting industry use to cover the broad category of business processes and work tasks. My background is in strategic planning and business process design, and I was eager to apply that knowledge to the accounting industry for client advisory services using the LivePlan Method for Strategic Advising. I had a CPA firm selected, but I wanted a dedicated bookkeeping firm as well, and I wanted it to be Polymath. I knew Ingrid’s can-do attitude and smart staff would make for a good project. Ingrid’s bookkeepers at Polymath LLC had been LivePlan users for about a year, but hadn’t yet added full scale Strategic Advising. They were offering their clients LivePlan business planning software as an add-on tool set, but for them to use on their own, and not as part of a Polymath service offering. 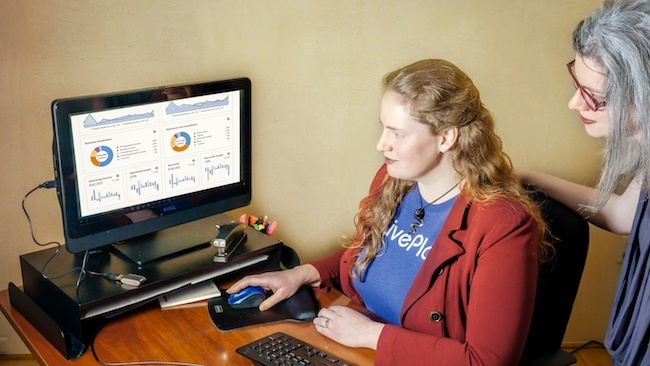 They knew they could leverage Liveplan better, but weren’t sure how. I wanted to help Polymath understand that LivePlan is much more than a tool set for business planning. Combined with a cloud-based accounting software (either Quickbooks Online or Xero) it is a full-scale advisory platform for accounting professionals to offer regular, scalable, and cyclical Strategic Advising for their small business clients. 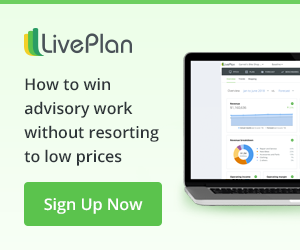 Because LivePlan is designed specifically for a small business, it’s the perfect collaboration tool for an accountant to use with the small business, empowering them to own their strategic roadmap. LivePlan’s step-by-step method keeps the scope of work fixed and the advising conversation natural and meaningful. No other product in this space offers this particular combination of scope definition and collaborative guidance. At LivePlan, we know that bookkeepers can make some of the best Strategic Advisors. They have a deep understanding of their clients’ financial information—down to the transactional level. Most bookkeepers have cash flows nearly memorized, and they know without even asking which variables for each client will affect their profitability. But bookkeepers tend to underestimate—and therefore undersell—their value. For some bookkeepers, it’s because their small business clients are only asking for traditional bookkeeping, and have a CPA as well for their taxes, so the clients expect advisory from their CPAs. For others, it’s simply that they feel their status as bookkeeper is somehow less valuable. The LivePlan Strategic Advising offering shifts that paradigm, because all small businesses need strategic planning and advising, and many CPAs still don’t offer it. We give the power of this tool set, along with process and methodology, to the bookkeepers, so that they are well positioned to offer valuable Strategic Advising services, while keeping their workload manageable and delivering value to their clients. The key is transforming the relationship with the client, while leveraging the right tool sets to elevate the conversation, and exposing standard financial data in simple formats that can be useful for strategic planning. 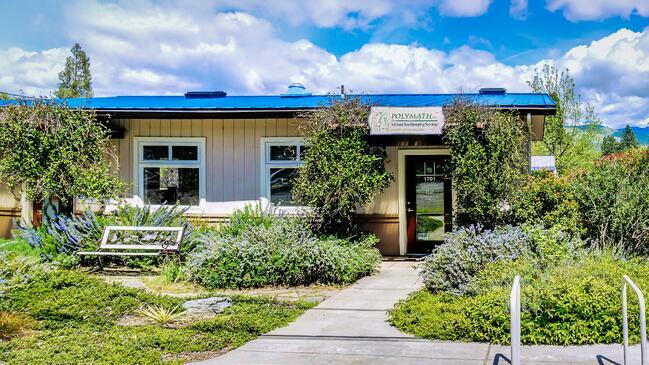 Since Polymath is located in Ashland, OR, only three hours from our offices in Eugene, I wanted to meet with them in person to kick off our project. To make it even more beneficial, our own CFO Trevor Betenson would come along to both offer advice, and learn more about the discrete needs of bookkeepers as advisors. Trevor manages strategic planning for our own company, Palo Alto Software, using LivePlan. I wanted him to hear from these bookkeepers firsthand and be able to respond. I knew he would have an interest in their story and provide useful feedback. The first meeting took most of the day, and it was very productive. I learned that Polymath’s biggest struggle was in the conversation with clients. Whether it was keeping their clients on point when they came in for monthly meetings, having useful talks about strategy, or simply getting beyond the basics of cash management, the issues revolved around the conversations they were having with their clients. While these conversations are important—necessary even for real advising—we all agreed they must be kept to a managed length, or Polymath would lose profit. What our meeting identified was that beyond the tasks of the LivePlan Method business process and the output of the LivePlan software, bookkeepers could benefit from advisory scripts and meeting agendas to facilitate the conversations with clients that are key to successful planning and advising. They needed a place to start. We agreed to meet again in a few weeks when I would train Polymath on these things in depth. Building the advisory engagement guideline was a great exercise because it allowed me to dig deep into the conversations of client advisory. The conversations necessary for successful advisory must keep the client engaged, move along swiftly, and also glean the necessary information to build a useful financial forecast. It’s no small matter, but it shouldn’t be complicated either. It takes a good listener, someone who can “hear” the information between words that might not be stated clearly, and someone who can keep the endgame in mind the entire time—understanding what motivates and drives a business owner. What is their passion? How can you help them focus that passion on measurable, strategic goals? At the beginning of the relationship, the advisor is simply trying to understand the broad business objectives of their small business owner client, and to help them synthesize those objectives into a sales plan. This is called Lean Planning, and it is foundational to the LivePlan Method for Strategic Advising. It is not surprising that accounting professionals need help in the area of Strategic Advising services. Advisory is not a standard function of accounting. It’s not taught in accounting school and is not yet standard practice in public accounting. But through guidance and training and with regular practice it can be learned. Using the LivePlan Method, implementing the process, and utilizing the advisory engagement guidelines, gives the accountant the tools they need to successfully perform advisory services with their clients. A few months after our first meeting, I was ready to train Polymath on the LivePlan Method as well as on the client engagement guidelines: the scripting and meeting agendas. It didn’t take long for them to understand and connect. The engagement guidelines made the process very real for them. Instead of describing only what the result of the sessions with clients should be, we could talk about the structure of the sessions themselves, and the Polymath team could envision themselves with their various clients having these conversations. The engagement guidelines include specific questions that bookkeepers can use when working with their clients. Using these tools, Polymath was alsoable to anticipate what each client might respond that could throw the process off track, and then think about how to skillfully redirect. The engagement guidelines also helped the bookkeepers at Polymath to understand how to avoid spending too many hours in their client advisory meetings, because the structure helped them feel like they could plan ahead and keep the meetings on task, on time, and productive. Further training sessions with Polymath over the course of a few more months focused on the rest of the process of the LivePlan Method: training them on building the financial forecast from their clients’ Lean Planning information, and using the LivePlan Scoreboard key performance indicators for monthly meetings and regular Strategic Advising. To make the training more concrete and relevant, we chose an actual Polymath small business client and used their information to complete the LivePlan Method steps. The process was again transformative! The LivePlan Method streamlined and corrected the client’s data. Polymath was not only able to gain a better understanding of their client’s business through the engagement guidelines, but to their surprise, they cleaned up the chart of accounts in the process, making it match the client’s sales channels and providing the ability to really see, group by group, which products are profitable for the client and which are not. Now the client can plan and forecast by product, and track against his plans, and his chart of accounts reflects all of it! The Polymath team was very pleased. They were able to immediately begin Strategic Advising relationships with all of their clients, and because the conversations scripts are progressive and flexible, and allows them to build varied meeting plans specific to client need. As Polymath uses the conversation scripting and meeting agendas over time, they will master the words by repetition, which will free them just enough to allow their own unique style to shine. The thing I love about the LivePlan Method is that it provides a platform to bring accountants closer to their clients, with a structure for deriving planning information from the relationship naturally. Because of this, it adds real value immediately to a client advisory practice. Firms who implement the LivePlan Method are able to charge more for their services because they have a Strategic Advisory product that will produce the planning and output necessary for tangible results for their clients. And the icing on the cake really is that the whole thing is cloud-based, and built originally for small business owners, so it speaks to small business clients in ways that accounting software and accounting reports cannot. I had such fun working with Ingrid and team over the last several months. My journey with them continues as they grow, and I learn from them as well as they from me. Content, tips and best practice for accountants, CPAs and bookkeepers who offer Strategic Advising Services to small business clients. Forecasting Versus Budgeting: What’s the Difference?